I do not know what the plant is that is on this question. I love it and want to take care of it properly. The nursery called it a Hula Palm and I can not find it anywhere on the web. Please help. Looks like a Hawaiian Palm. This website has some information. 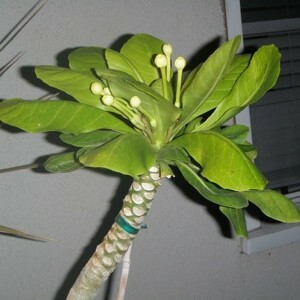 Your plant is a plumeria.